Duke Energy was recently responsible for a MASSIVE Coal ash spill into US waterways. Feb 8 (Reuters) - Workers on Saturday plugged a broken pipe that leaked up to 82,000 tons of power plant coal ash into a North Carolina river, Duke Energy Corp said. stock here --- this plant was shut just over a year ago, then they neglected things bad enough to dump, do the math, 164,000,000 pounds of ash. Due to "a pipe leak". Ash is light, thats a lot of stinking ash, and it went directly into a river used for drinking water. Thanks for the mercury guys! Probably we will hear "no immediate health risk to the public" after prelim testing. Now they are going to sell off some Midwest assets. 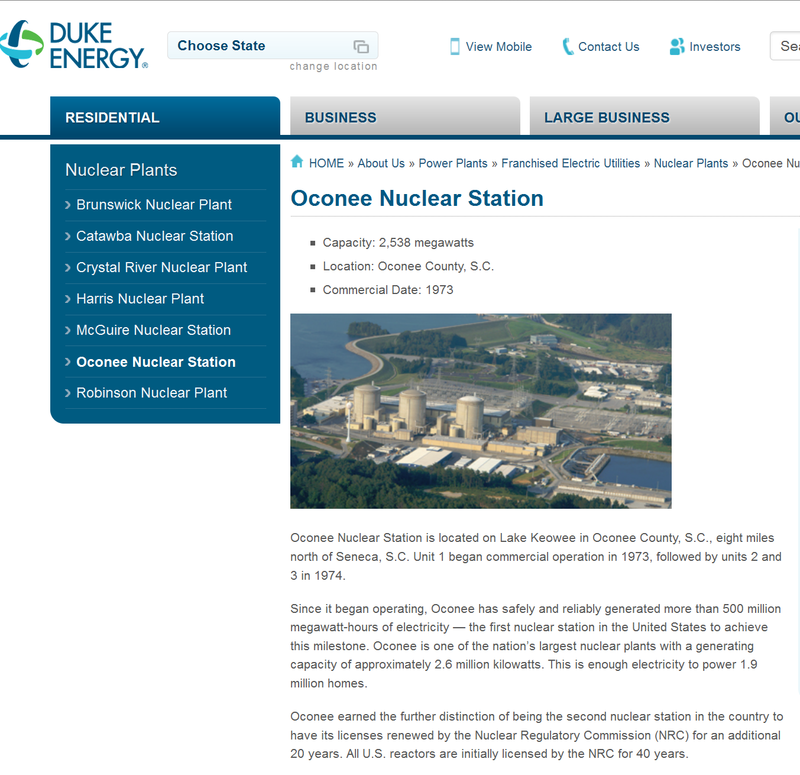 The "Nuclear Power 2010 Program" was launched in 2002 by President George W. Bush in order to restart orders for nuclear power reactors in the U.S. by providing subsidies for a handful of Generation III+ demonstration plants. The expectation was that these plants would come online by 2010, but this expectation was not met. The takeaway from all this? Expect higher energy prices in the future, as these guys can't achieve the profit margins that "share holders" require. and expect more accidents as they cut maintenance in order to boost profits. And expect the lawyers to extract their insane fees as cases are litigated. Don't expect the NRC or EPA to be pro-active, they will be inanely reactive at best. Waterkeeper Alliance, a water advocacy group, said this week that analysis of Dan River samples showed "extremely high levels" of arsenic, chromium, iron, lead and other toxic metals typically found in coal ash. A Duke Energy spokesman has said tests by the utility and North Carolina officials indicated no adverse impact on the water supply.